Parwal aloo/aloo parwal is a typical North Indian dish. This is one of the veggies which I like a lot. 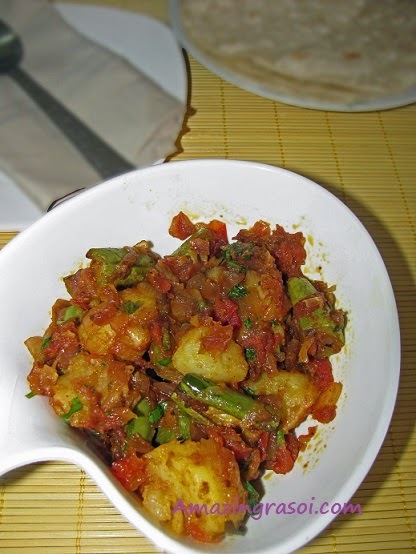 In this post I have shared dry version of Aloo parwal. First time I tasted Quesadilla at Pizza Hut when we were deciding menu for our kid's birthday party. From that day till today whenever I go to Pizza hut I order paneer quesadilla. Last week I prepared it at home and it come out well, so from now onward I can have my favorite Quesadilla at home any time. Drool !!! Tortilla is nothing but a kind of roti which can be prepared with all purpose flour, corn flour or can be prepared with combination of wheat flour and all purpose flour. 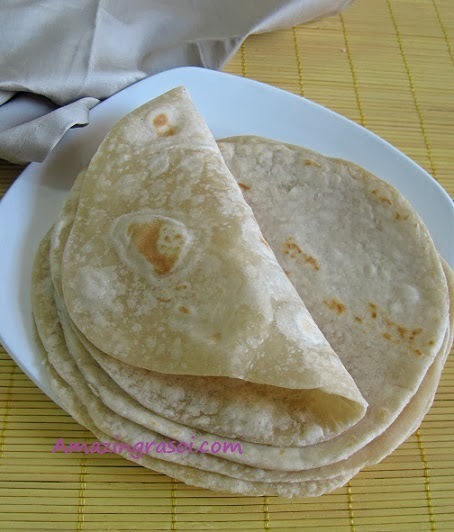 Here I've shared all purpose flour tortilla recipe. Calzone is nothing but a folded pizza and Paneer Calzone is my latest experiment. 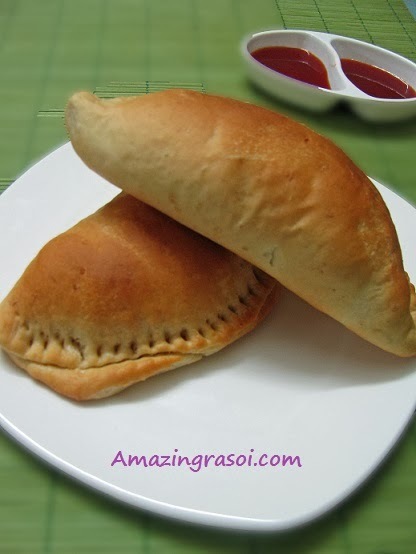 The typical calzone is stuffed with tomato, mozzarella, and sauce, and may include other ingredients that are normally associated with pizza topping but here I have used all total different stuffing. This is the first time I made Doughnut at home. Since my son likes doughnut, so thought to give it a try. 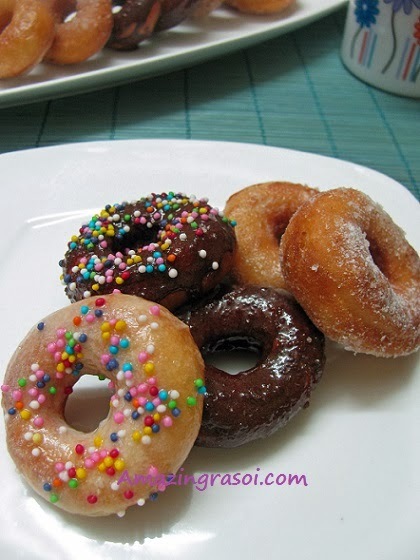 After going through many doughnut recipe,I customize it and give it my own version. I tried doughnuts with three different types of glaze.